Code Pipes Those who can, do and teach! Codefresh is a CI/CD solution built with native Docker, Kubernetes and Helm support. Unlike other traditional solutions Codefresh was created from scratch with support for containers (it even includes a private docker registry), declarative pipelines, deployment dashboards etc. Spinnaker is the newcomer in the continuous delivery arena. It was open-sourced by Netflix as a multi-cloud deployment tool. Spinnaker is one of the first and only applications that is built for cloud deployments from the ground up. It supports natively the blue/green deployment strategy as well as canary deployments, features that until recently required special scripts and glue code. Spinnaker supports all major cloud providers (Amazon, Azure, Openstack etc) and even native Kubernetes integration implemented by Google itself. SemaphoreCI is a hosted continuous integration company similar to Travis. I was already aware of them while researching my mega comparison of hosted CI services. In 2016 they read my Spock book, liked it and contacted me in order to write articles for their huge library of testing tutorials. I accepted and so far I have written 4 Testing/CI tutorials for them! Three of them have been in the top ten of the respective year. The RestAssured tutorial is one of the most commented tutorials. If you are looking for a hosted CI service, I can highly recommend them. For the full details consult the mega comparison that compares SemaphoreCI with 11 competitors in the same sector. Testing REST Endpoints Using REST Assured. This was in the top 10 tutorials for 2016 among all SemaphoreCI articles. Stubbing and Mocking with Mockito 2 and JUnit. This was one of the top 10 tutorials for 2017 among all SemaphoreCI articles. 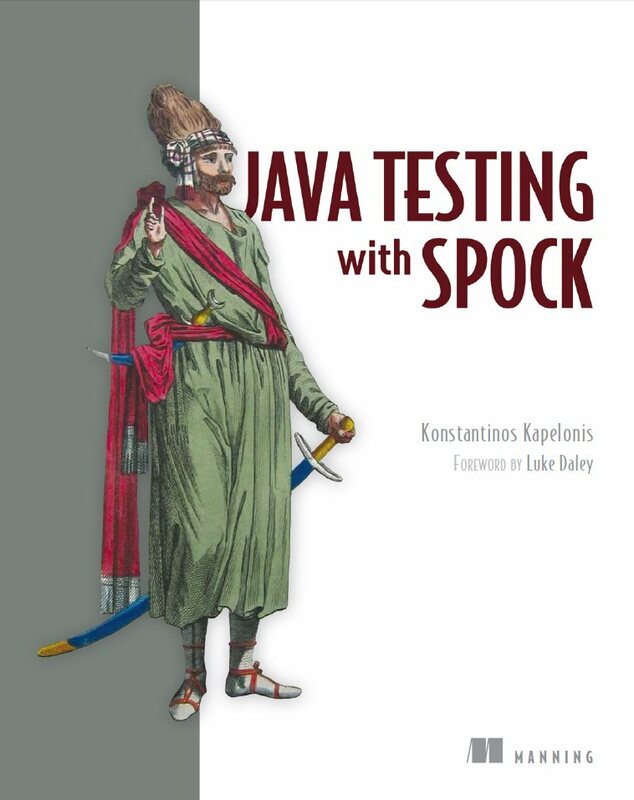 Stubbing and Mocking in Java with the Spock Testing Framework. This was also one of the top 10 tutorials for 2017 among all SemaphoreCI articles. In 2014, Manning noticed my Spock article and asked me to write a full book on the topic. Of course I accepted! Manning is a legend of technical books and I have learned a lot by their huge collection on Java topics. While working for InfoQ I also covered JRebel and LiveRebel, products of ZeroTurnaround. As part of the process I interviewed Oliver White the marketing guru of the company (at the time). We talked while drinking beers, and I started writing for RebelLabs (the community building part of ZeroTurnaround). I wrote blog posts for any topic I liked and helped with the detailed programming reports. In 2011 I started working for InfoQ. I already liked the site as a reader because of their objective writing and the no-marketing-crap attitute when covering press releases. At several points in time I simply disregarded the official release of a product and went straight to InfoQ in order to read the actual details. The team at InfoQ are mostly programmers themselves so they can see behind the marketing buzzwords and actually explain the technical facets of various topics. I was so mindblown when researching Chronon that I ended up writing a full featured article on recording debuggers. The Rise (And Fall?) of Application Stores 2011.